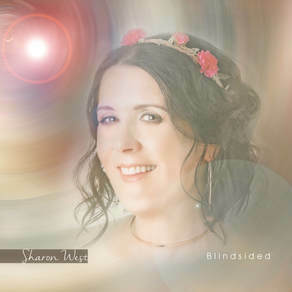 Blindsided is the second single by Sharon West. Her first outing being the subliminally catchy "Breathe", which i really liked, i must confess. Blindsided continues where Breathe left off. It has that country feel about it, wonderful lyrics and a melody to die for. Like it's predecessor, "Blindsided" is a beautiful song full of hooks dancing all over the place, with a bathing in sunshine groove about it. Helped even more, by a stellar production. Sharon West is a very talented songwriter and one to look out for. She has the gift for well thought out lyrics, and hypnotic melodies that leave you in no doubt that she's here to stay. Blindsided is infused with a good feel vocal and has a moreish production value. Sharon West has not blindsided me in the least. Listening to her latest effort, I've seen the light, and oh, doesn't that light look good. CONTROLRadioUK Note: Sharon West is an Artist who has recently joined our ever growing playlist.